Welcome to The Tuppenny, Swindon’s first and only specialist purveyor of craft drinks, a veritable emporium of brewed, distilled and fermented greatness. 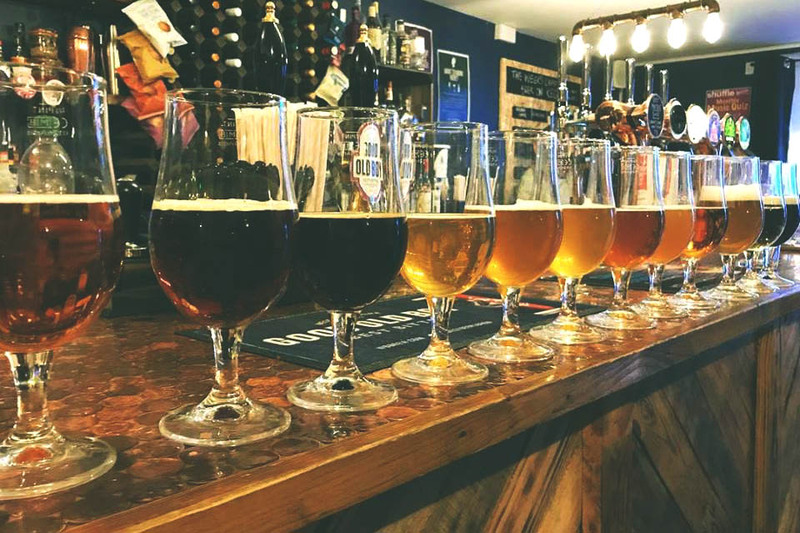 We stock the largest and best range of craft beer on tap and in the fridges that you will find in Old Town, which we regularly update, alongside the best quality spirits available as they come or crafted into stone-cold classic cocktails. For those day time chill-out moments we also brew up some great classic teas and coffee or you can cap off the working day with a bottle of our great wines. Enjoy some downtime in a unique, cosy and classy space featuring re-purposed and up-cycled furniture with its own personality, quirky decor, board-games and some old-school reading material. We regularly feature the best in original grassroots and underground live music and host the monthly Swindon Shuffle Music Quiz (the most un-serious quiz in town!) as well as a range of other arts events, brewery talks and tap-takeovers. So come and see us whether you are a serious hop-head, gin fiend or simply like to relax and socialise in a cool place with friends old and new.